Performers include: Pete Jones, Chris Moore, Jeff Balis, and Patrick Peach. A filmmaking contest series created by actors/screenwriters Matt Damon and Ben Affleck, and film producer Chris Moore through their LivePlanet production company. Amateur filmmakers submit their screenplays and one is eventually chosen as the winner and given the budget to direct his/her film while the process is filmed for the show. In the second season, the competition is broken up into two categories, screenwriting and directing. 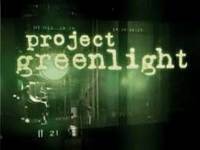 More about: Project Greenlight, Project Greenlight: canceled or renewed?